IDEMA — A Framework For Capturing & Sustaining Ideas. 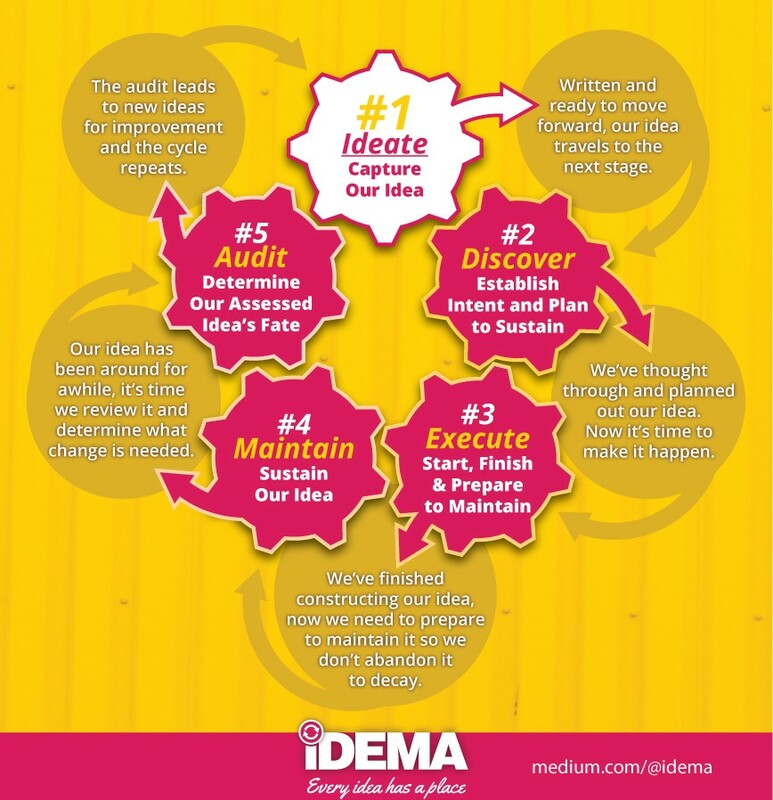 IDEMA — A Framework For Capturing & Sustaining Ideas. It was conceived by Jason Montoya, Len Wikberg and Beth Haun Coetzee in a desperate attempt to keep a good project manager at Noodlehead Marketing as we explored the lifecycle of projects. When Is It Best To Start Using IDEMA? The following indicators determine if IDEMA would be a good fit for you to test. You’re the leader of an organization or department seeking to bring order to chaos. You’re part of a team working together on a project or department. You’re an individual with numerous responsibilities in different stages of the process. You’re a freelancer or consultant overseeing or managing numerous responsibilities for your clients. You’re not able to retain a quality project manager. You operate with a similar system in your head but your team is not on the same wavelength. You value how getting the idea out of your head documents the true value of what you’re doing. You don’t want to memorize what needs to get done and when. You’d like visibility of what work is being done. You lose or forget ideas. You value having a common language. We’ve introduced IDEMA, its benefits, when to use it and the framework itself. 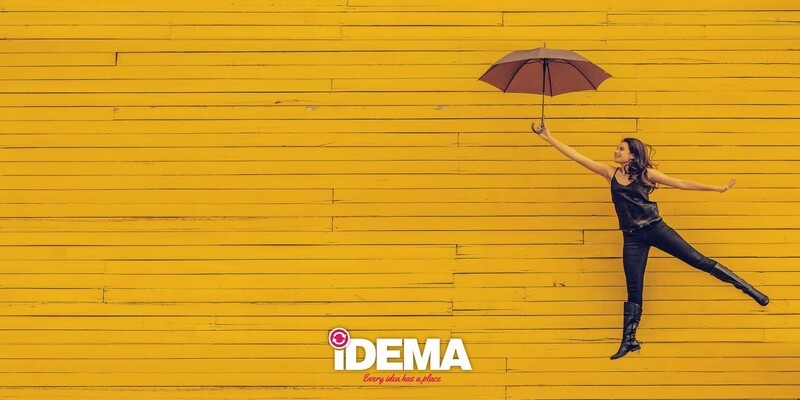 If you’re still wondering if IDEMA can help you or your organization, let us take you through a few questions to help you know if IDEMA is right for you. When you have an idea, what do you do with it? Is there a place where these ideas go to wait? Do you find yourself planning an idea forever? Do you have a trigger to push your idea forward? Do you find yourself starting and launching many new ideas with little or no consideration for how you’ll keep those ideas going? Do you have too many activities or responsibilities? Do you feel vocationally bloated? Is change and innovation slow or non existent? Do you have a framework that pulls all of these stages together into one cohesive structure? If these questions reveal gaps in your operation, IDEMA is framework that can help you take your life and business to a state of clarity and accountability. Inspired to take the next step? If so, join us as we explore using IDEMA within three different tools. A benefit of using the IDEMA framework is that the process can be used in a variety of tools and in different ways. We’ve put together three examples of its use in three well known tools. A free and flexible tool to organize anything, IDEMA is a terrific fit for Trello. Below is a screenshot of three lists in my Trello work board. To use IDEMA in Trello, simply create a list for each stage of the framework. This would result in a list for Ideate, Discover, Execute, Maintain and Audit. 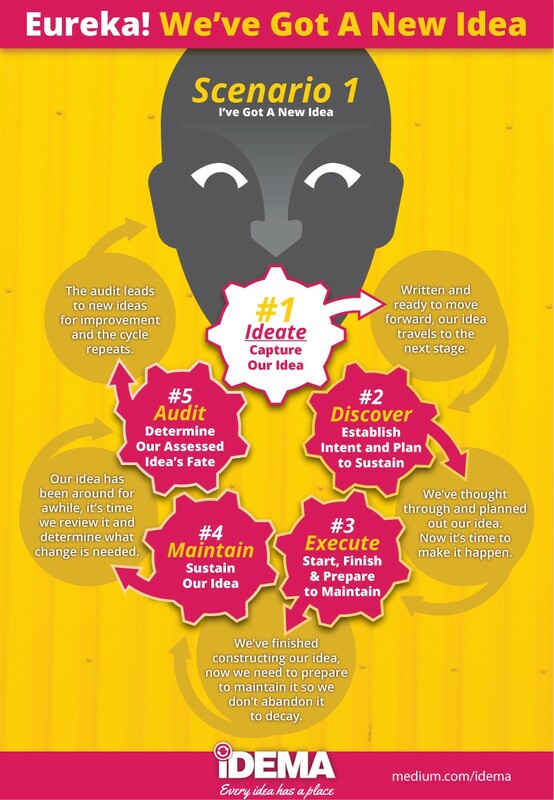 When new ideas come, we simply capture them in the Ideate column. This acts as an idea repository. As the idea progresses through the IDEMA stages, we simply move the card in Trello from one list to the next. For the maintenance stage, we’ve found it helpful to create multiple lists based on the interval. In this screenshot, you can see maintenance lists for daily, weekly, monthly, annually, triggered and parked ideas. If you prefer to use IDEMA on a personal level, Trello and IDEMA can be a great combo for organizing your life as seen in this screenshot. Click here to view and make a copy of the Trello template board. If you value the interface of a spreadsheet but want the power of a database, Airtable & IDEMA may be a perfect harmony. In this example, we’ve got a marketing campaign where each element of the campaign’s stage is visible. The power with Airtable is our ability to sort, filter and create custom views of this data. If we only want to see ideas in the Ideate stage, our idea repository, we create a view like we see in the following screenshot. Instead of tracking projects, you could track people applying for a position. The IDEMA framework would quickly and easily identify where they are in the process. View and copy the IDEMA Airtable Template. Do you prefer to keep it simple? A spreadsheet can be a quick and easy way to organize your company, department and project in the IDEMA framework. In the screenshot above, we can see various projects on our plate and where they are in the IDEMA process. Click here to view and download the spreadsheet template. Once we’ve identified our tool, we can transition to IDEMA from the beginning or middle of a project/company. Below are directions on how to approach both situations. 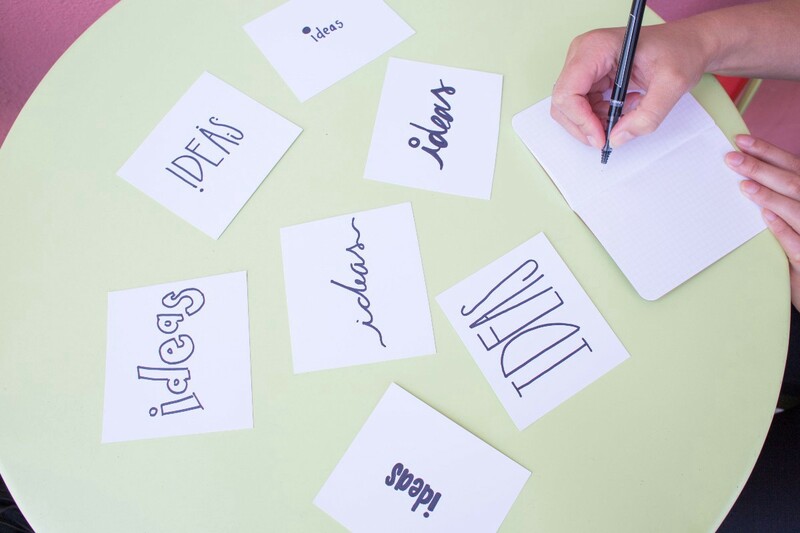 If you are starting a new project, company or activity, simply capture your ideas in the Ideate stage. When you’re ready to establish intent and plan out the idea, move the idea from the Ideate to Discover stage and follow the framework at the desired pace to create a blueprint of what’s going on. If you are in the middle of a chaotic project or using a different system, simply capture and list the projects and ideas in their most appropriate stage. Once we have everything we’re working in in place within IDEMA, we have vision of our situation and how to move each activity forward. Once complete, we’ll find ourselves with a blueprint containing actions, projects and ideas in all five stages of IDEMA. Move forward on these projects accordingly. While IDEMA is a simple framework, we know you’ll take and personalize for your own context. The possibilities for it are endless. To help you utilize IDEMA and explore it in a more detailed way, we’ve compiled several resources for you to embrace and expand on the IDEMA framework. Below you can download the framework logo and IDEMA templates, contact the creators, learn the IDEMA history, and take a deeper dive into the Ideation and Discover stages of the IDEMA framework. This empowers you to copy, share, redistribute, remix, transform, and build upon the IDEMA framework for any purpose, even commercially. When referencing IDEMA, simply share the link to this page. Read the story of why IDEMA was created. Noodlehead Marketing — Read about the 7 year journey behind the company that brought IDEMA to life. If you find the IDEMA framework too simple, the following modules provide more steps to make IDEMA a more detailed process. 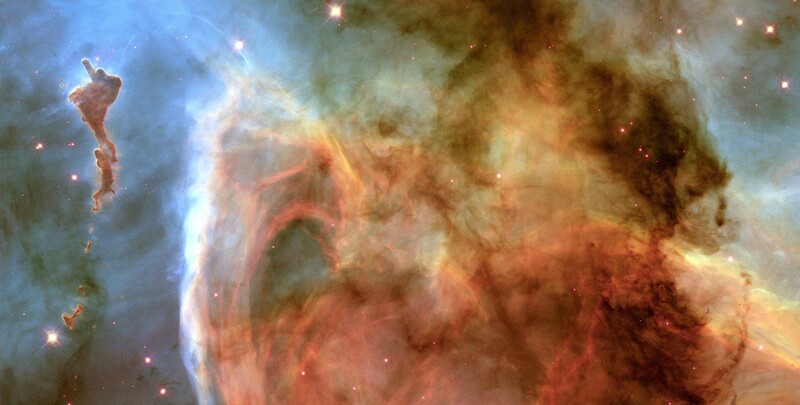 Our hope is these modules will inspire you to alter or build your own. To use these, simply place these modules into the relevant stage’s workflow for completing the stage. These questions take the framework to a deeper level and require more depth before an idea can proceed from one stage to the next. Ideate Module 1 — Idea Anatomy: We’ve documented the least information necessary to harness the idea. Whose authority does this idea fall under? Who will move this idea forward? How urgent is this idea’s potential? 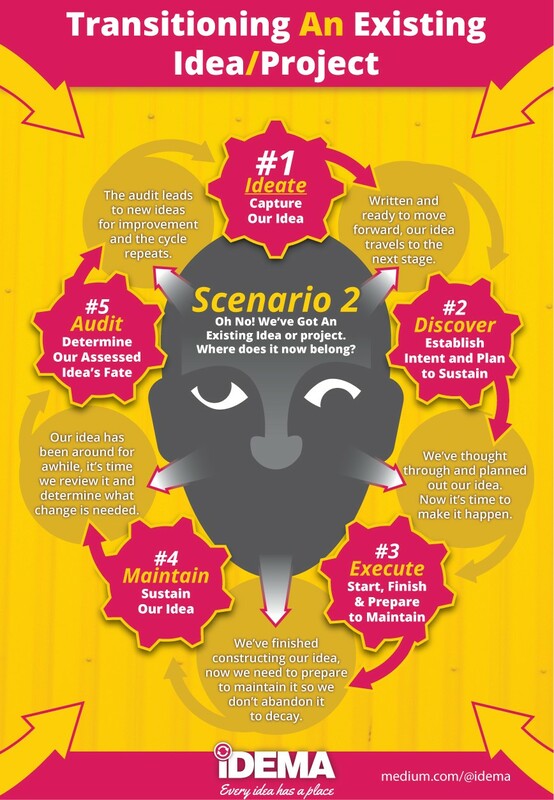 Ideate Module 2 — Idea Checkpoint: We’ve thoroughly challenged discovering this idea. Does this idea already exist? Are there any existing efforts to fill this gap/solve this problem? What would prevent us from discovering the idea? Can this idea live within the objectives/restrictions of existing authorities? What would keep the idea from moving forward? By when shall we discover the idea’s potential? Discover Module 1 — Context: We’ve discovered the idea’s relevant context. What is the origin of this idea? The potential payoffs are what? What resources do we have available for this idea? What roadblocks would delay or stop this idea from moving forward? What else do we know about this idea? Discover Module 2— Firm Foundations: We’ve firmly anchored this idea’s intent. Purpose: Why are we doing this idea? Vision: What result do we think it will generate? Truth: The purpose and vision statements are based on what? What guidelines will we adhere to? What ingredients need to be included? Discover Module 3— Solution Discovery: We’ve surveyed & chosen our best solutions. What possibilities will help us live our purpose & fulfill our vision? Who would be a good resource for this project? Where would they best fit? What else do we need to research before moving forward? Discover Module 4— Plan To Execute: We’ve outlined the actions for executing this idea. What actions need to happen for this project? What are their due dates? Who will own responsibility for the completion of the project’s execution? Who will be responsible for moving the project actions forward? What triggers will we have for communication updates? What triggers would pause the project? Where will the progress of this project be tracked? Discover Module 5 — Plan To Maintain: We’ve identified what’s required to maintain this idea. What actions will be required to maintain this idea? How often will they need to be done. Who will make decisions on the project’s maintenance? Who will be responsible for moving the maintenance actions forward? Discover Module 6— Plan To Audit: We’ve considered how & when we’d like to audit this idea. What audit actions do we foresee at this time? When will they need to be done? What will we track to determine if we’re progressing or regressing? Who will own responsibility for the project’s audit? Who will be responsible for moving the audit actions forward? Discover Module 7— Discover Checkpoint: We’ve thoroughly challenged executing this idea. Why proceed? Why not proceed? Is this idea important? Is it urgent? Understanding the entire picture, would it be wise to move forward? Now Go Make Your Idea Happen! Jason Scott Montoya for compiling and writing the page content. Len Wikberg for the IDEMA logo and graphics created for this page. A special thanks to James Karwish, Samuel Rasmussen, and Beth Haun Coetzee for providing feedback on how to make this IDEMA page better.